Assam Forest Minister Pramila Rani Brahma attended a ‘Gram Swaraj Abhiyan’ outreach programme organized by Directorate of Welfare of Scheduled Castes, Assam and Assam State Development Corporation for Scheduled Castes Ltd at Moloibari Scheduled Castes Village at Sonapur in Kamrup (Metro) on Friday. The programme was organized as part of the fortnightly celebration of the 127th birth anniversary Dr B R Ambedkar. In her lecture, Brahma recalled the vast contributions of Dr B R Ambedkar towards nation building and elaborated at length on ‘Gram Swaraj Abhiyan’. 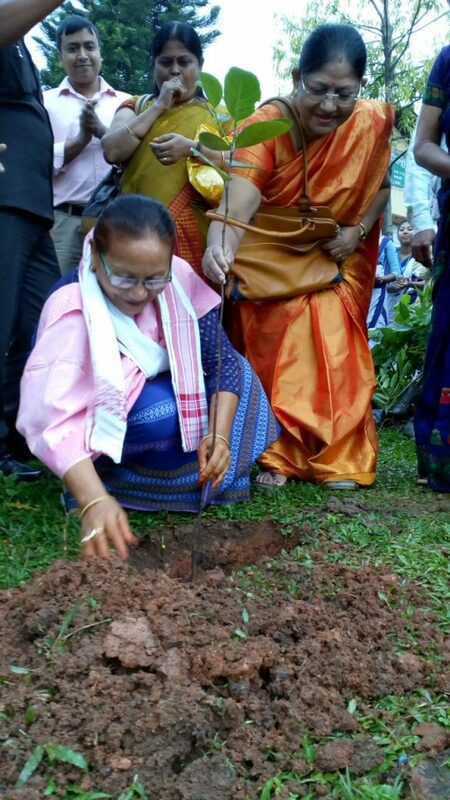 The Minister also participated in a plantation programme organized as part of the programme. Attending the programme, Circle Officer of Sonapur Revenue Circle Jenifer Yasmin dealt at length on matters pertaining to procuring caste certificates and income certificates to those SC families. 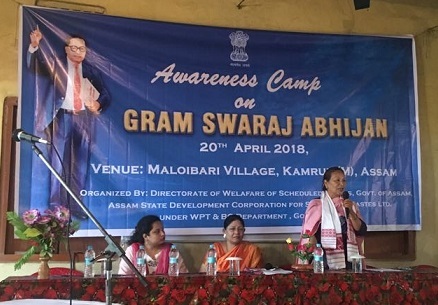 During the programme, Director of Welfare of Scheduled Castes, Leena Das spoke on generating awareness about the projects taken up for implementation of SC model village Scheme in Moloibari SC Village at Sonapur, Kamrup (M). Inspector of Schools, DEEO & DMC, Kamrup (M), Buli Gogoi Bhuyan; Research Assistant of Directorate of Welfare of SC, Jagadish Das and Administrative Officer of Assam State Development Corporation for SC Ltd, Biren Chandra Das also spoke during the programme., according to an official press release.